I am a nut case for fried clams with the belles. Living in Los Angeles, it is almost impossible to find decent fried clams. But, if you are having a major craving, I suggest you contact Ipswich Fish Market. It isn’t cheap, but you get a clam frying kit that actually works. The only trick to making decent fried clams is to fry a small amount at a time. If you don’t, you get a clumpy mess. 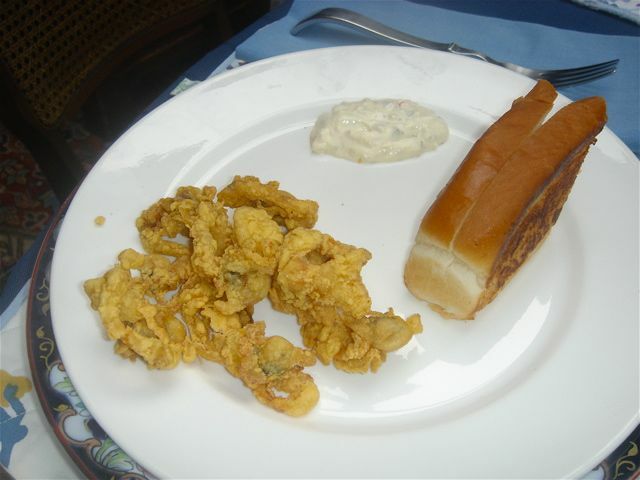 Fried Clams with the bellies at Home!